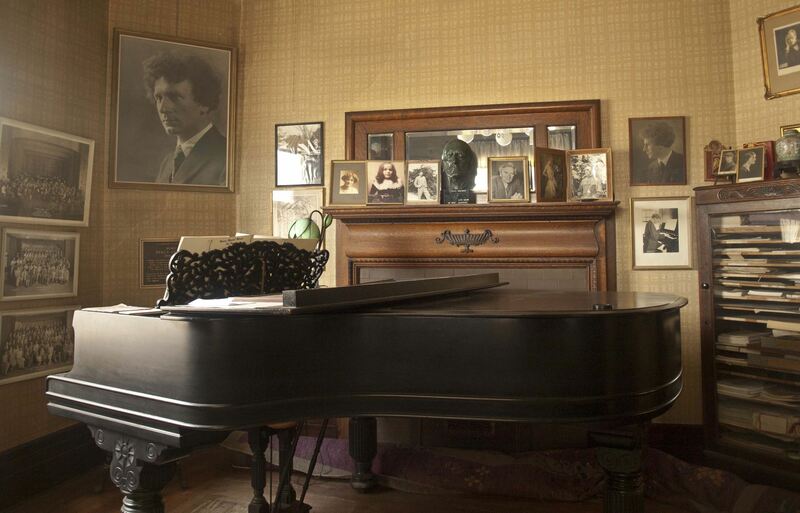 We welcome you to visit and experience the Percy Grainger House. Please contact us for currently scheduled tours. Tours are by appointment and generally scheduled on Thursdays or Sunday afternoons. Tours are $10 per person. We hope you will further support our work with a donation. The house is located adjacent to the heart of downtown White Plains. We encourage you to walk down Mamaroneck Avenue and visit the many restaurants and shops. The train station is a short (less than 1 mile) walk or taxi drive away. A parking garage is located across the street.